Nothing exudes a luxurious look like platinum does. This glamorous silvery-white metal is gradually gaining popularity all over the world, thanks to its elegant look and undeniable charm, but most importantly its strength to endure and last long. This sparkly precious metal is very durable, and works great when embellished with precious and semi-precious stones as well. Talking about rings in particular, platinum is quickly becoming a hot favourite among both men and women. 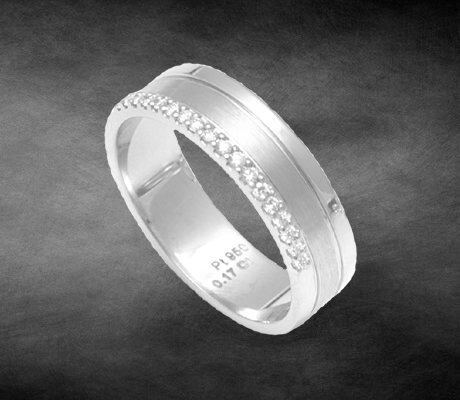 Platinum rings look great on men, due to their minimalist yet chic designs. They can be worn by a man of any age, and are perfect for casual and formal occasions too. 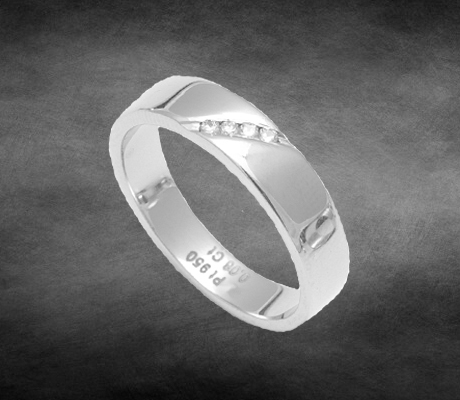 Be it for an engagement, wedding, birthday, or festival, a platinum ring makes a great gift for any man. At AuGrav, we have an extensive range of platinum jewellery for men, including 8mm, 6mm and 4mm platinum men’s wedding bands, love bands for him, and men’s platinum engagement rings. The ring collection contains a mix of different styles, including smooth bands, brushed and lined texture rings, and men’s platinum bands accented with one or more diamonds. 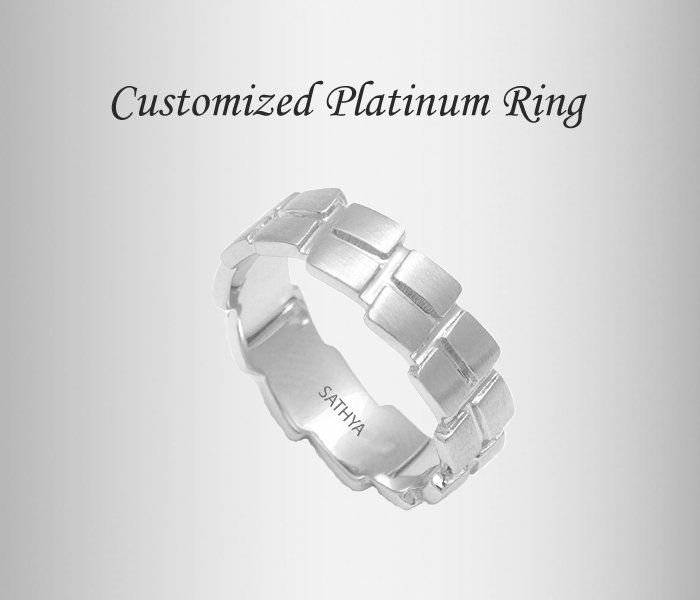 Now you can have a piece of your own self engraved on platinum bands for him. That’s right, at AuGrav, you can inscribe rings with your unique, distinct fingerprints effortlessly on our online jewellery store. Simply pick a style you like from our assortment of fingerprint rings. These include styles which can be inscribed with the wearer’s fingerprints on the inside or outside of the ring. 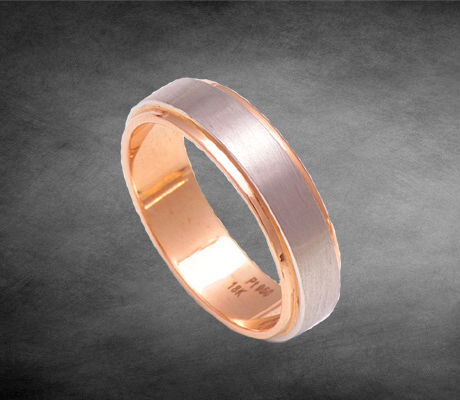 Fingerprint rings aren’t the only customized jewellery options that we offer for men. 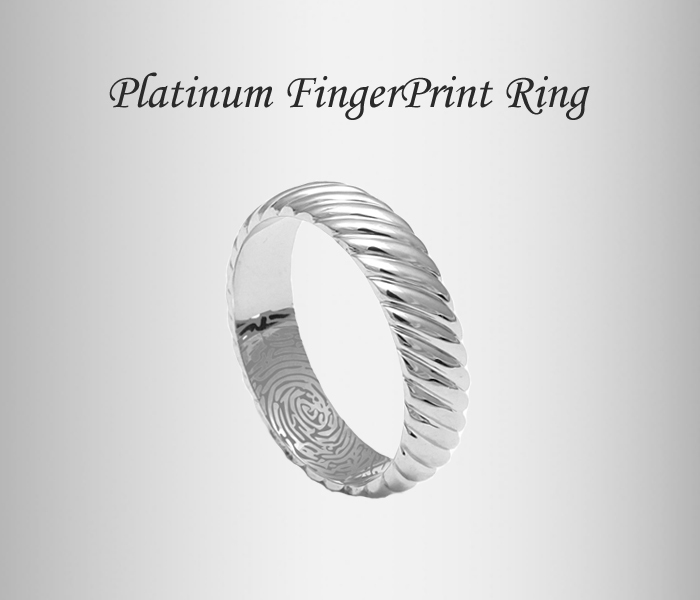 You can also buy men’s platinum ring in a host of other personalization options. Choose our classic name rings, which can be engraved with the person’s name, initials or nickname. Our name is our primary identity and it’s what everyone knows us by. So it’s a great idea to opt for rings inscribed with your own name or initials. Or go for our sound wave platinum men’s ring, which can be inscribed with a special sound wave on the inside or outside of the band. This is not only a one-of-a-kind idea, but is also an attention grabbing one. The next time you head out for a party or celebration, don a platinum ring engraved with a voice note, and be the talk of the town! 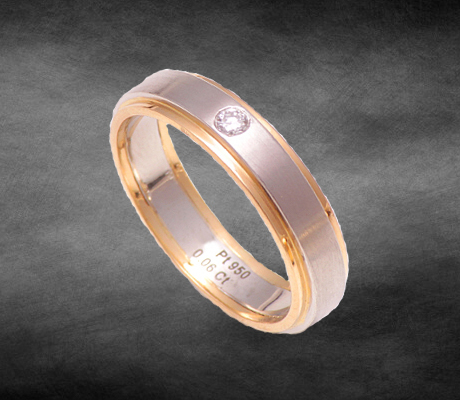 For those who seek men’s wedding bands, engagement rings, or love bands, that bear a traditional look as well as flaunt a modern touch too, our gold and platinum rings will surely be the perfect choice for you. These rings are artistically fashioned out of yellow gold and platinum, or rose gold and platinum, to achieve an alluring look that doesn’t fail to impress. Our gold and platinum ring design for men come in a variety of different styles, including two tone designs, and others with platinum in the centre, graced with gold borders for an attractive finishing touch. You’ll find some rings spruced up with a solitaire, as well as men’s platinum band with diamonds in plenty. 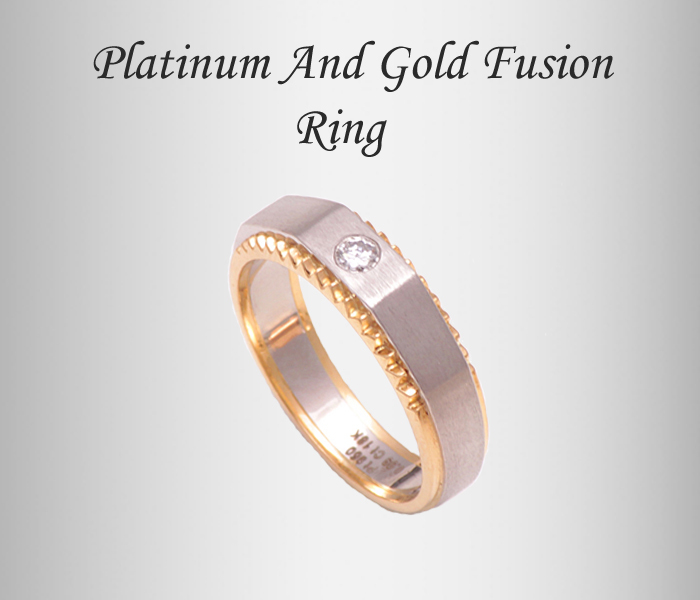 This marriage of gold, which is Indian’s favourite precious metal since times immemorial, with platinum, which has an enchanting, mesmerizing appeal, gives you the perfect ring design. Your jewellery collection will benefit from the addition of a stunning platinum ring from AuGrav. 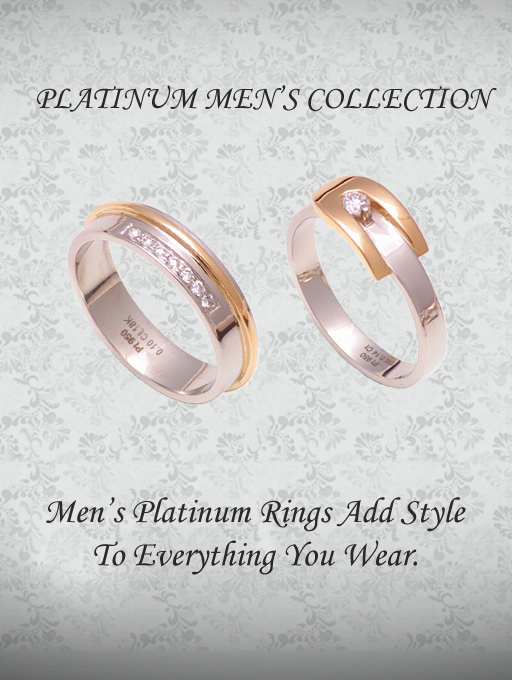 So don’t wait; shop for the perfect platinum men ring online in India at our online store. 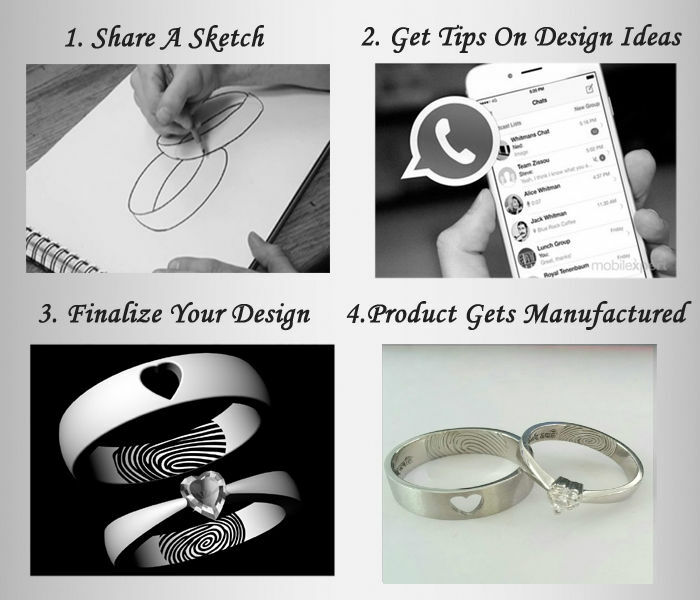 You can also send your own designs to us, and get tips from us before we finalize it for you and manufacture it. We show you the 3D preview before the product is made. 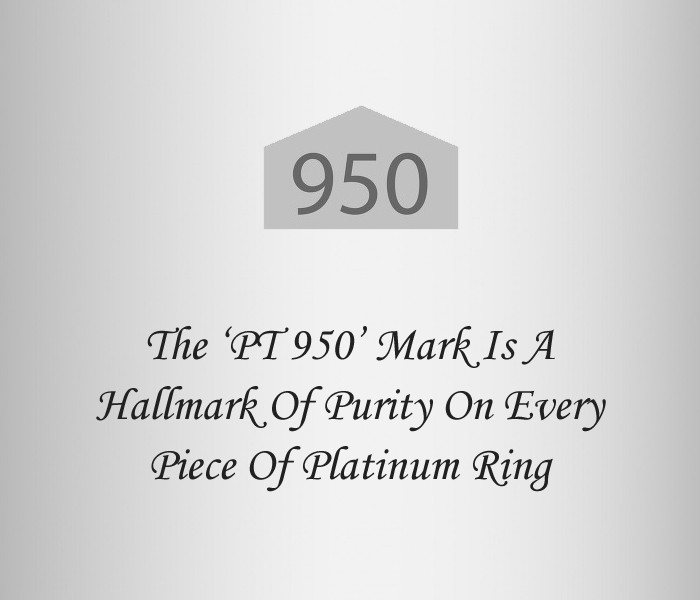 All our platinum men rings come with a certificate to assure you of the quality and authenticity. We also offer a wide range of other men’s platinum jewellery, including pendants and bracelets. 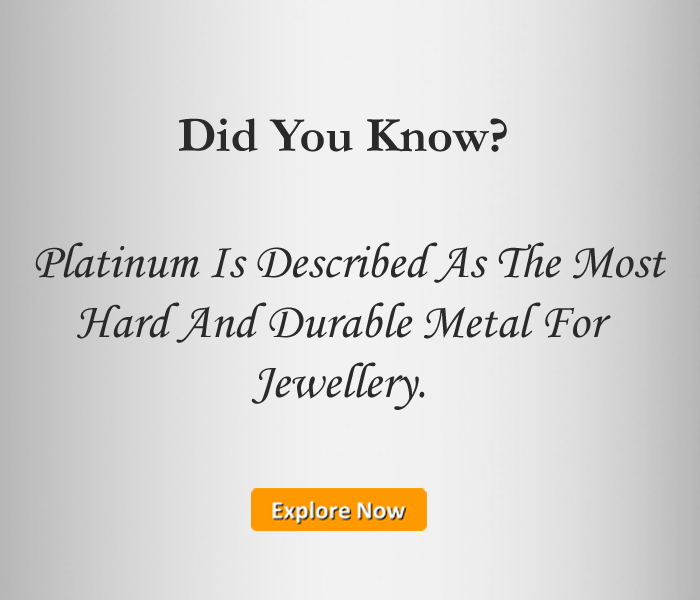 Take a look at our platinum jewellery sets, and items in gold and silver as well. You’ll be spoilt for choice, once you see the vast collection of designer jewellery and the customization options at AuGrav. We offer free shipping in Mumbai, Chennai, Kolkata, Bangalore, Pune, Delhi, Hyderabad, and pan India, so your experience is truly convenient and satisfying. Platinum Rings For Men Overall rating: 4.7 out of 5 based on 235 reviews.